During winter quarter, 85 business students had one assignment: learn about teamwork. 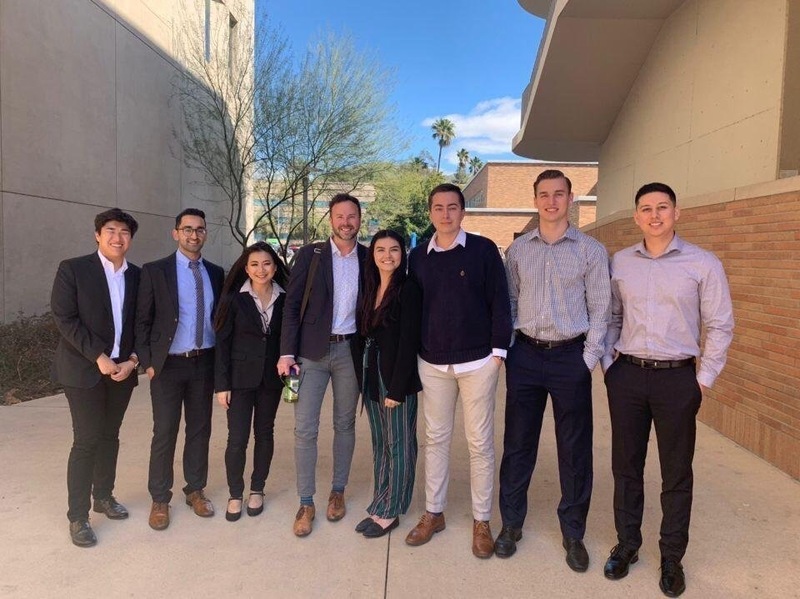 They spent the quarter experiencing the advantages and disadvantages of working in teams as they examined initiatives led by UC Riverside’s Healthy Campus, a program established in 2016 to highlight and create health-centered opportunities for students, staff, and faculty. The 85 seniors were enrolled in a class led by Kyle Ingram, an assistant professor of teaching in management with UCR’s School of Business. The course, Business 145, is designed to place teams with local businesses willing to allow students to observe their operations and subsequently offer a best practices report. Partnering with Health Campus will offer students the same experience, Ingram said. Ingram teaches using a method called concurrent design, meaning the topics covered in class typically align with what the group encounters as their projects progress. Ingram wants students to graduate with enough knowledge, skills, and analytical capabilities to effectively participate in team projects once they are in the labor force. Winter quarter served as a pilot, but the partnership between his class and Healthy Campus proved a success, Ingram said. Students took ownership of their respective projects because it involved the campus’ health and well-being. Many also saw their work have an immediate impact, he said. At UCR teams were embedded with one of nine Healthy Campus committees that focus on creating and promoting health. The committees were formed nearly two years ago around health-related topics such as built environment, preventative health, and physical activity. Among the Business 145 students was Fion Gu, a 21-year-old business management major who expects to graduate in June. Before taking Business 145, Gu said past group assignments had resulted in bad experiences. For this class, she was part of the Culture Change Committee, which aims to create avenues for improved operations and business practices within UCR. Teams such as Gu’s provided rich, factual summaries. Students were not afraid to be critical of the committees’ work, said Ann Cheney, assistant professor with the School of Medicine and the Healthy Campus co-chair. Several team recommendations, such as offering incentives to motivate people to participate in substance abuse recovery programs, shortened surveys, and creating internship positions have already been implemented by committees, Cheney said. Before spring break, the 85 students presented their project results over a two-day period to Healthy Campus committee members, classmates, and other special guests. Students discussed what they learned through this process, research methods implemented, and also delivered a full report to Healthy Campus committees. “This is a great example of how Healthy Campus can integrate an academic component and make it an experience that allows us to make a greater impact on campus,” said Julie Chobdee, wellness program coordinator and Healthy Campus co-chair.